Lukianowicz, Narcyz [Нарциз Лукіянович] – psychiatrist, neuropathologist, amateur poet; born on 20 June 1907 in Chernivtsi (Ukraine; at that time – Austrian crown land of Bukovyna); died on 24 July 1985 in Cambridge, England, United Kingdom. Married Stephanie Turkewicz-Lukianowicz. After graduating from the Ukrainska akademichna himnaziia secondary school (gymnasium) in Lviv, in 1928-32 he studied in the Faculty of Medicine at the University of Lviv. He went on to specialise in neurology and psychiatry in the Lviv university clinic and, in 1935, defended a doctoral dissertation on “Mental Illness and Crime”. He began to practise in the Narodna lichnytsia hospital in Lviv, in which he subsequently became head of the Neurology department. In 1938 he became head of the Department of Neuropathology at the psychiatric clinic in the Kulparkiv district of Lviv, and from 1940 he lectured in neurology and psychiatry at the Lviv Medical Institute. In 1944 he left for Vienna, Austria, where he obtained a post in the Department of Neurology and Psychiatry of the Faculty of Medicine at the University of Vienna, and also worked in the Maria-Theresien-Schlössel psychiatric hospital. In 1946 he moved to Carinthia, in southern Austria, where he lived in displaced persons camps and worked as a neuropathologist and psychiatrist for the United Nations Relief and Rehabilitation Administration in the British Zone of Occupation of Austria. Не subsequently joined the Polish II Corps under British command in Italy where, until the autumn of 1946, he briefly worked as an UNRRA doctor. In the autumn of 1946 he was transferred with the Corps to the United Kingdom. After demobilisation, in March 1947 he became medical superintendent at a neuropsychiatric unit for the rehabilitation of Polish soldiers in Brighton (established by the British government and the Polish government in exile). After the unit was closed in October 1951 he worked for a year in the clinic of the Relief Society for Poles in London, and also ran a private practice. In late 1952 he began to work as a registrar in the National Health Service, at Barrow Hospital in Bristol. 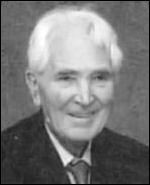 In 1955 he obtained a Diploma in Psychological Medicine (awarded conjointly by the Royal College of Physicians of London and the Royal College of Surgeons of England) and continued to work in Bristol as a clinical psychiatrist. In 1962 he moved to Northern Ireland and became a consultant psychiatrist at Holywell Hospital in Antrim (later honorary consultant psychiatrist). He established a network of family therapy and child guidance clinics in Ballymena and Newtownabbey, as well as psychiatric care services in a special school in Whiteabbey and in a school for physically handicapped children in Greenisland. In addition to his clinical work, he gave lectures in psychiatry to doctors in training at Queen’s University, Belfast. He continued to work as a clinician, clinical teacher and researcher until his retirement in 1973, at which time he moved to Cambridge, where he died. He was a member of the Ukrainian Physicians’ Society in Lviv, the British Medical Association (from 1971), the Royal College of Psychiatrists (from 1978), the Ulster Medical Society, the Ukrainian Free Academy of Sciences in Europe, and a Full Member (from November 1962) of the Polish Society of Arts and Sciences Abroad. His main academic interests included parent-child relationships, juvenile delinquency, phenomenology, parahallucinatory phenomena, parasuicide, sexual deviation and other aspects of psychiatry. He was the author of over 30 academic papers, including six published in 1937-38 in the Lviv-based Likarskyi visnyk medical journal, and 27 published in the years 1958-75 in various other journals (British Journal of Psychiatry, Psychiatria et Neurologia, Journal of Nervous and Mental Diseases, Archives of General Psychiatry, Psychiatric Quarterly, Acta Psychiatrica Scandinavica, International Journal of Social Psychiatry and others). In addition to his medical publications, he was also the author of several works of poetry: the epic poem Kniaz Oleh Vishchyi (Prince Oleh the Seer, Lviv, 1934; reprinted in England in 1976), and a number of lyric poems published in the United Kingdom.